We only feed our hens organic feed from the day they are born. Organic feed is included with every rental. Explore more photos of our coops! Learn about the ease of use and exact dimensions. Learn about Golden Comet hens and why they're rated one of the sweetest, most docile breeds of chicken. 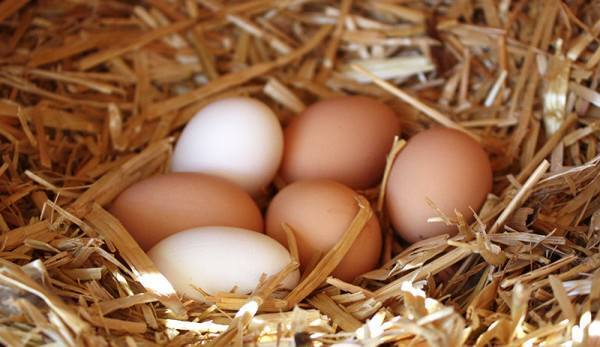 Check out our comprehensive list of the do's and do-not's when it's time to treat your hens! My family loves them and I'm not sure we ever would have made the leap to raising chickens, if renting them didn't allow us to ease into it. WHAT ARE THE BENEFITS OF RAISING CHICKENS? You may not know this but chickens have amazing personalities. They will come when called, let you pick them up, let you rock them to sleep on your lap (especially on the swing-set) and will follow you around the backyard while you're gardening. They are also natural composters! They will eat all of your unwanted table scraps and will turn them into delicious and nutritious eggs. They're great at pest control as the hens actively seek out spiders, bees, beetles, stinkbugs and even ticks!